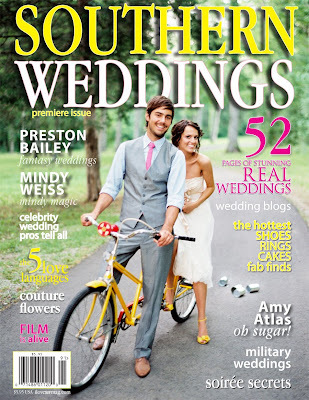 A few magazines - Southern Weddings and, more recently, Brides Atlanta - have featured some of my wife's work. The next time you're in Barnes & Noble, Borders, QT, or an airport newsstand, check out page 100 of Brides Atlanta. Look for three horses. In Southern Weddings, her work is all over.